MasterCard unveiled the results of its loyalty program Priceless Specials after its first year on the market. Launched at the end of May 2015 in the Czech Republic and Slovakia, the program is the first of its kind in the world. 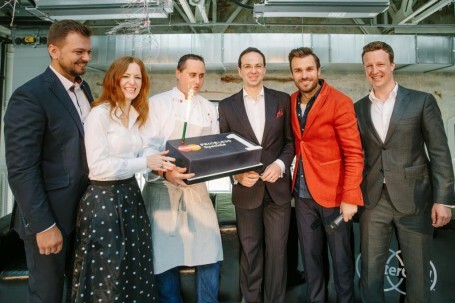 After 12 months, more than 900,000 MasterCard and Maestro card holders now participate in the program, and they have earned back almost CZK 8 million. The results were presented at a press conference where Leos Mares, an ambassador of the program, held a talk show. The Priceless Specials concept is unique thanks to its simple registration which allows you to obtain discounts or rewards in the form of “money back”/”cash back” for payments with MasterCard and Maestro cards at selected merchants. Currently, 87 merchants belong to the program. Some of the largest in the Czech Republic include MOL Česká republika, Orsay, Pet Center, Exim Tours, Pompo, Alpine Pro, Benu lékárny and Cinema City. In Slovakia partners include Kartago Tours, Orsay, Pet Center, Datart, Tempo Kondela and Schneider Lékárny. All the MasterCard or Maestro cardholders were brought into the program by these issuers of payment cards: Fio banka Česká a Slovenská republika, BNP Paribas Česká republika (Cetelem), mBank Česká a Slovenská republika, Expensa a Cofidis. VUB Banka (credit cards) and Moneta Money Bank (Gratis card) have also registered a part of their card portfolios. The program also includes the possibility to fulfil customers´ dreams or to surprise a loved one with an extraordinary experience. When joining, each credit card holder includes his wish. Every month, MasterCard selects one minor wish, and each quarter a bigger one which are then fulfilled. For example, a tandem parachute jump, a ride in a Ferrari and a fishing trip abroad have already been executed. “People indeed have different kinds of wishes. We are pleased that a large part of the wishes are for someone else. A wife wants to reward her husband, parents their children…,” said Martina Piskorova, Marketing Leader MasterCard Europe for the Czech Republic and Slovakia, “Beyond these regular wishes we also prepare special short campaigns in which people can also fulfil their dreams.” As an example, a competition for a vacation worth a hundred thousand Czech crowns, vouchers to purchase pet supplies, a weekend in London with a stylist, shopping and gourmet dinner or a trip to the legendary FIS Alpine Ski World Cup in Kitzbühel have taken place. Recently, competitions for a family weekend at Disneyland, a promenade on the red carpet at the Cannes Film Festival and participation in the Champions League final in Milan have happened. In the future, MasterCard plans to increase the number of merchants involved in the program in order to continue to expand offers to the program’s users. During the year, there have been several changes, for instance, a simplification of the registration process and a web interface. The user-friendliness of the program will of course be one of the key priorities this year as well. “Launching the Priceless Specials program on the market was challenging. We succeeded; however, our work has not ended. We continue to develop technological platforms within the program and to acquire additional retailers that will be relevant not only for large cities, but also for smaller towns and villages in the regions,” adds Josef Machala, Loyalty & Acceptance Manager MasterCard.